Generally, carving skill spread among all the peoples of Tropical Africa. 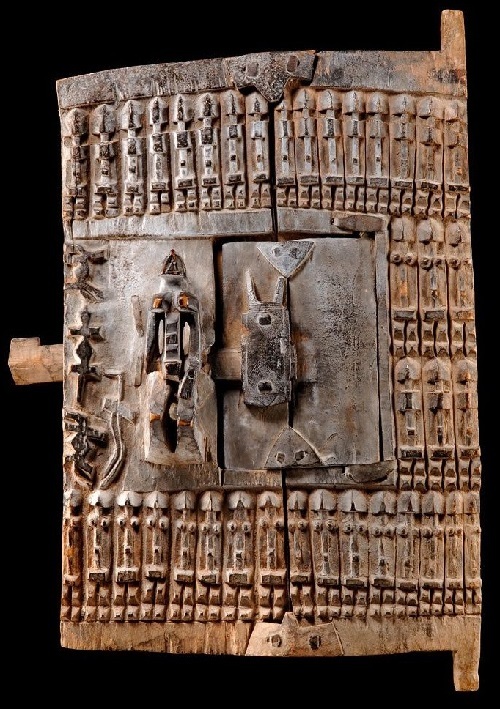 In addition to well-known and well recognizable sculptures, ethnographers and collectors study doors art that represent much. For example, the ritual, protective, aesthetic and social status. 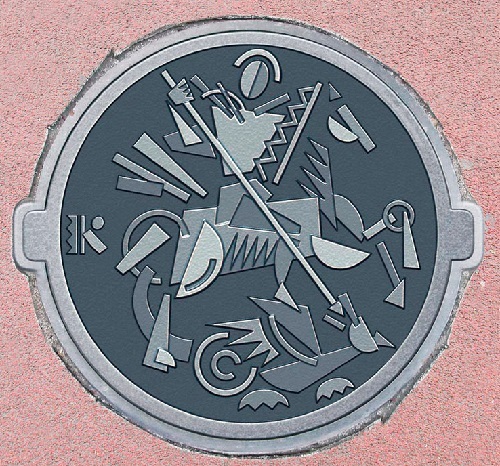 Besides, door art has a historical, narrative, and even instructive function. Meanwhile, almost all African peoples used images of animals on the carved doors. Animal credited special qualities or traits, and even considered as one of the ancestors of people. 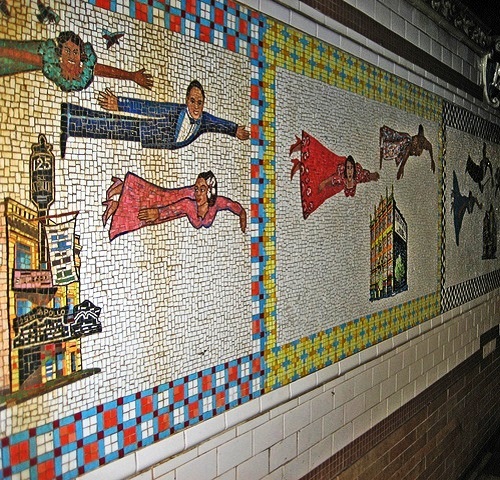 African-American artist Faith Ringgold created glass mosaics “Flying Home: Harlem Heroes and Heroines” at the 125 Street (Harlem) metro station, lines 2, 3, in 1996. Faith Ringgold is Professor of University of California at San Diego, an artist, an illustrator of children’s books, sculptor and writer. 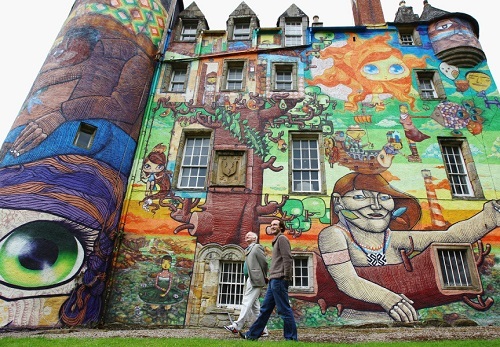 The most famous of her works – paintings, stories on the quilt. The name “Flying Home” – taken from the name of Lionel Hampton’s “Flying Home” that Feith Ryngold heard in her childhood. In fact, Hampton’s orchestra was popular during the 1940s and early 1950s. Harlem Heroes mosaics located on the walls of the station platform, depict the famous African-Americans. In particular, as the angels hovering over the equally famous buildings that played an important role in the history of Harlem. With an emphasis on light and perspective, installations by Danish artist Olafur Eliasson transform the plane that allows the viewer to experience the illusion of supernatural environment. 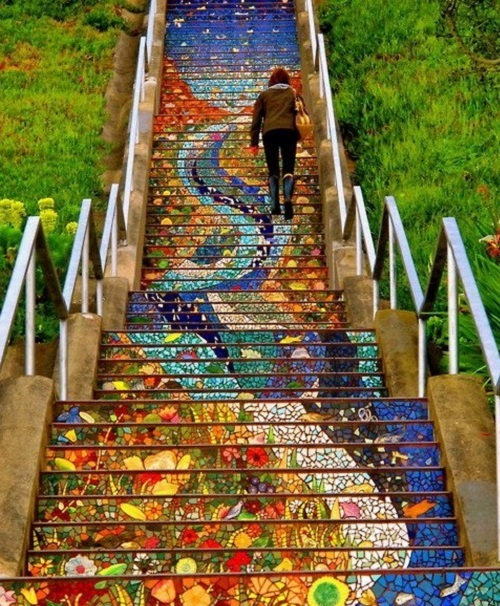 The interstitial space in the Museum of Art in Seoul, features “Stairs of Gravity”. Composed of luminous spheres attached to the ceiling, all the space – bathed in yellow light, like the sun. Something otherworldly seen in lamps and mirrors on the ceiling, the visitor gets the impression of floating in space, among celestial bodies. 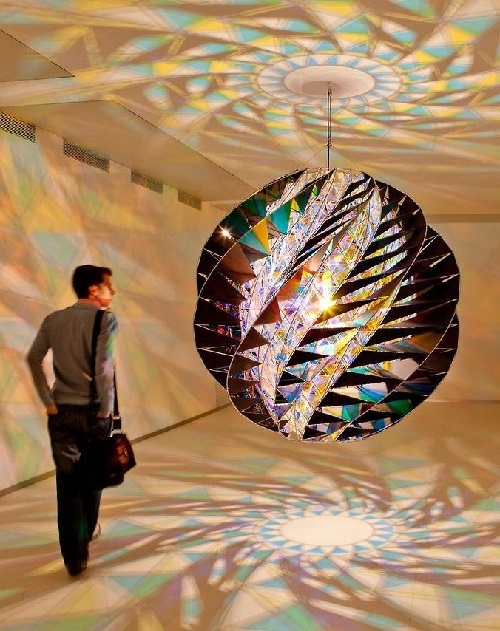 Mirrors have essential place in the magic containing in the works of Eliasson. Traditionally, Mirrors defy the usual relation of man and space, recalling our tiny place in the vast universe. Beautiful house, located in the Spanish city of Salamanca, became the most famous in the world thanks to its unusual decoration. In particular, three hundred shells which decorate its facade. 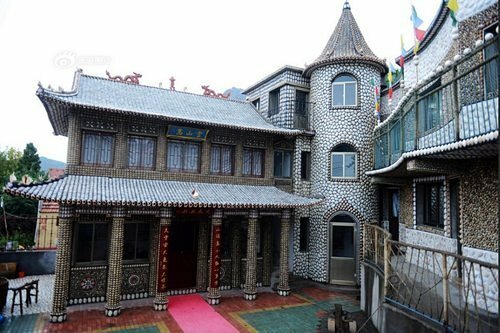 But in China’s Shandong Province on the island of Lingshan there is a whole building made entirely of shells. According to a self-taught architect Xiao Yongsheng, he spent two years trying to turn his traditional Chinese home into a real marine wonder. Meanwhile, the total area of the outside of the building – 1500 sq.m. 58-year-old merman Xiao Yongsheng doesn’t regret about time and effort to decorate the house with seafood found on his own private beach. One morning after a swimming, he saw an unusual shell, and then he got the idea of a wonderful design. During his work, he found a variety of seashells – diameter from a few millimeters to giant specimens weighing up to four pounds! This natural building material master used in different ways – for external walls, tiles, door handles and mosaics.